The Denon AVR-X1300W: 7.2 Channel Full 4K Ultra HD AV Receiver with built-in Wi-Fi and Bluetooth, Dolby Atmos, DTS:X, HDCP2.2, HDR, Audyssey MultEQ XT, 6/1 HDMI In/Out, 80 watts per channel at 8ohms. Experience state-of-the-art surround sound with the AVR-X1300W 7.2 channel Dolby Atmos AV receiver, which delivers breathtaking immersive surround sound with today's advanced movie soundtracks. 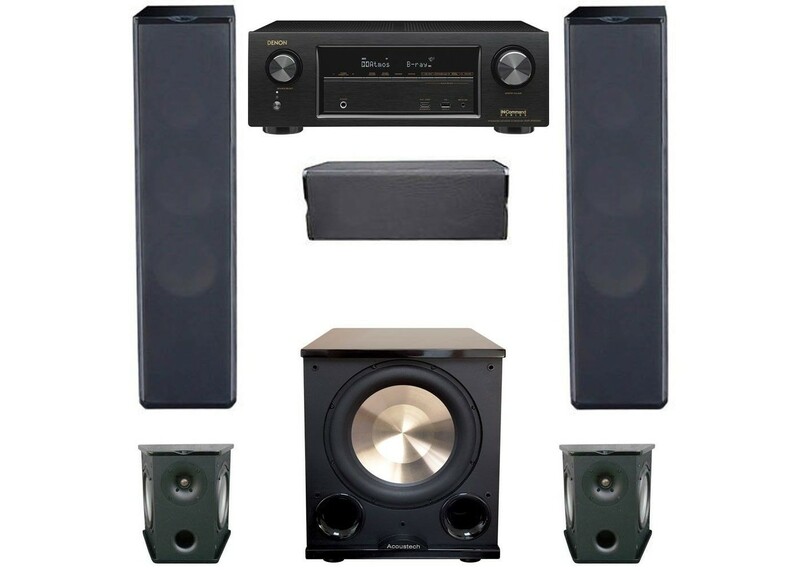 Bring home the same revolutionary 3D surround sound used in premium movie theatres, with the ability to create an overhead soundfield to deliver a dramatically expanded sonic space. What's more, a future firmware update will enable the AVR-X1300W to decode DTS:X soundtracks, for full compatibility with all current 3D sound formats.